An if statement allows you to choose between two discrete options, TRUE or FALSE. When there are more than two options, you can use multiple if statements, or you can use the switch statement. Switch allows you to choose between several discrete options. 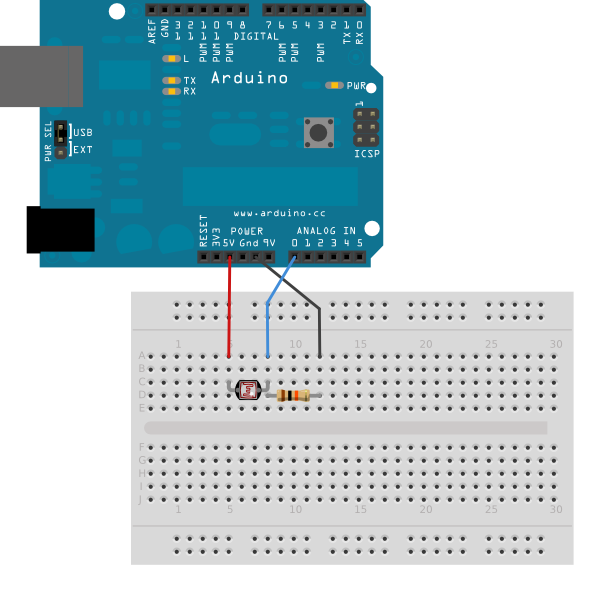 This tutorial shows you how to use it to switch between four desired states of a photo resistor: really dark, dim, medium, and bright. This program first reads the photoresistor. Then it uses the map() function to map its output to one of four values: 0, 1, 2, or 3. Finally, it uses the switch() statement to print one of four messages back to the computer depending on which of the four values is returned. 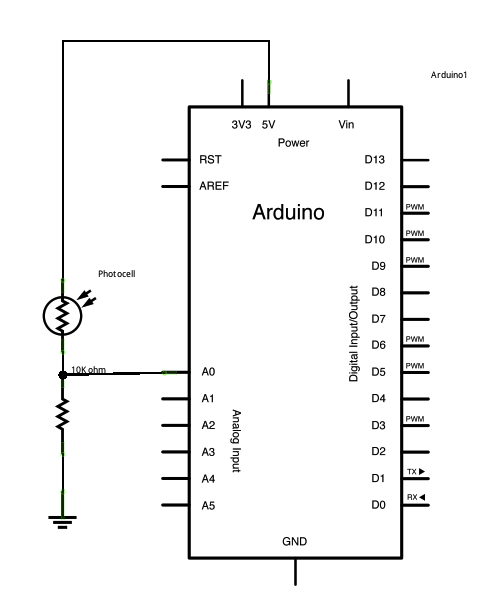 The photoresistor is connected to analog in pin 0 using a voltage divider circuit. A 10K ohm resistor makes up the other side of the voltage divider, running from Analog in 0 to ground. The analogRead() function returns a range of about 0 to 600 from this circuit in a reasonably lit indoor space. open the Serial Monitor, and move your hand gradually down over the sensor.